It is important to note that Naruto Gaiden: The Seventh Hokage and the Scarlet Spring is the prequel to the movie so obviously you don’t need to watch the movie to enjoy it, but you definitely need to be familiar with the main series. Taking place after Chapter 700, this chapter focuses on the new generation, mostly Sasuke and Sakura Uchiha's daughter—Sarada. Although meant as a prologue for the movie, and just a side story, this Gaiden wasn’t really enjoyable for many reasons. To address the elephant in the room, I feel like Cho-cho’s role felt rather forced and added no substance to story. While I understand that she was added for comedic relief, sometimes it was just executed at the wrong times and it just felt rather annoying more than anything. 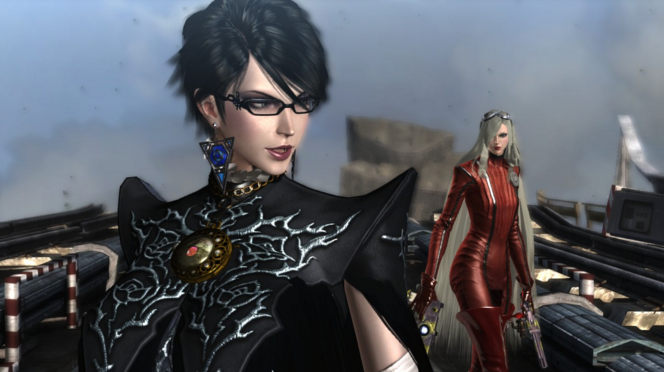 Bayonetta will be available in February 2016 for $5.99 for each platform, or $6.99 for both systems. Additionally, the “Umbra Clock Tower” stage from the original Bayonetta, some songs from both Bayonetta and Bayonetta 2, and Bayonetta, Jeane, Rodin, and Cereza trophies will be available as well. If you have a Japanese PlayStation account, you may download the game through the Japanese PlayStation store using your PS4 or PS3. The PlayStation 4 version will take at least 1.2gb of your HDD while the PS3 version will take 975MB. The demo is approximately 10 minutes long (if you don’t waste time) and lets you play as Arslan and Daryun. During this year’s SCEJA Press Conference, Bandai Namco revealed a new One Piece fighting game developed by Spike Chunsoft called One Piece: Burning Blood. It will be releasing for PS4 and PS Vita, but no release date or window has been announced, however. God Eater 2 Rage Burst is the upcoming sequel to the game God Eater 2 which was released in 2013. It is scheduled for release in February 26, 2015. Like God Eater Burst, it will be a standalone expansion that will build on the previous game while containing the content of the original as well. Rage Burst has been annouced for PS VITA and PS4, both in Japanese and Traditional Chinese release. During this year’s Japan Amusement Expo, where developers are showing off their latest arcade titles, Inside Games has revealed that Capcom has an Attack on Titan arcade game in development. While no details or footage weren’t revealed, the company stated that reveal more about it sometime this summer. After completing the Story Mode in Dragon Ball Xenoverse, there are five shards that you can collect to unlock the Broly and Bardock Sagas. With Dragon Ball Xenoverse now being available in Japan for PlayStation 3, PlayStation 4, Xbox 360 and Xbox one via digital download and physically, we were able to record the game’s story mode, showing off every event of the game ranging from the beginning to of the Saiyan saga to the final battle against the Demon God Demigra (including their action-packed cutscenes) for your viewing pleasure.